Home » #RealityTV » #SouthernCharm FINALE: Will Thomas Ravenel and Kathryn Calhoun Dennis Resume Their Affair? Musings and Misgivings Before The Reunion Airs. #SouthernCharm FINALE: Will Thomas Ravenel and Kathryn Calhoun Dennis Resume Their Affair? Musings and Misgivings Before The Reunion Airs. 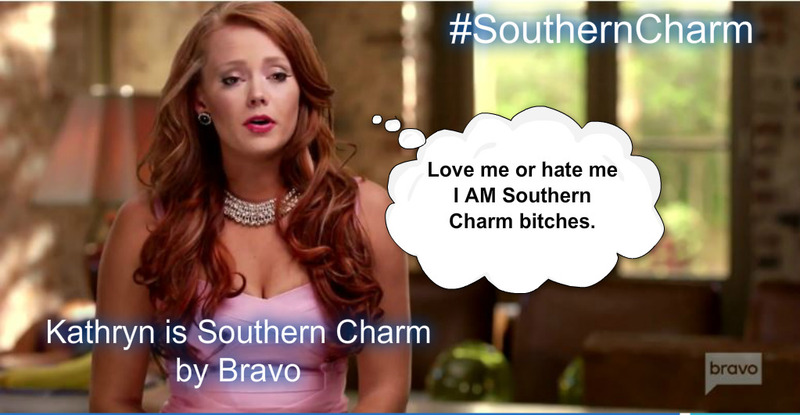 #SouthernCharm fans got a treat Monday night! The Season 4 cliffhanger left the audience wondering “will they or won’t they?” hook up again. Kathryn Dennis whispered to Thomas Ravenel,”I want to kiss you” while the over 50 bachelor made unique grunting sounds as he hugged the fiery redhead. Clearly, there is still a lot of mutual attraction and passion there. Thomas just came off of a serious mistake in judgment with Landphibian the quivering dolphin. In the last few moments of the finale, Kathryn confesses to a shocked Thomas that she will always love him. He can barely contain himself or his hands! For Thomas to continue to deny his feelings is a bit silly. Kathryn Dennis has something that he can’t get out of his system. It’s actually very telling to watch Ravenel’s reaction to Kathryn and the reactions of the cast in the room to the couple. Catch up with Kathryn Dennis’s life after rehab in Charleston! His biggest concern was the Viagra bill? That wasn’t a no!! My heart goes out to Miss Scarlett KCD as she works on sober living and rebuilding her life. Let’s hope there is more time with her kids in the near future and a cordial relationship with Thomas Ravenel. The finale episode showed a few moments of the #SouthernCharm Reunion and it didn’t look good for Kathryn. I’m keeping my fingers crossed for her. Let’s hope if there are stumbles or relapses she has the strength and courage to keep trying! Both Kenzie and Saint need their mama healthy.